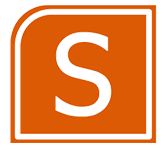 Each farm can have one or more servers and can be scaled out to meet requirements.The SharePoint platform is a collection of centrally managed services that are automatically installed and configured on the various servers within the farm. Among these services, one of the most prevalent is the web service that uses Internet Information Services (IIS) on each server to deliver the web user interface that is commonly associated with SharePoint. As well as leveraging IIS to deliver a web user interface, the SharePoint platform also makes use of Microsoft SQL Server as its primary data store. A number of separate databases are used to maintain data for each of the services on a farm; however, the global configuration for the farm itself is stored in a single database. New servers must connect to this database to be added to the farm.